Why did Camilla risk her life to go back to Shanghai, the city she’d just escaped from? What is the significance of the episode of the falling toddler? Why did Camilla start an affair with the American Consul General Edward Miller? At first, Camilla tries to ignore the little blind girl Peiling, but later desperately tries to find her. Why? There are many journeys, both external and internal, in Camilla’s life. Which are most important? 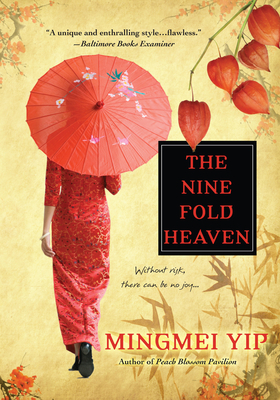 What is the role of fortune-telling in this novel? What do you think about Camilla’s multiple relationships with men—General Edward Miller, the gangster head’s son Lung Jinying, and the bodyguard Gao? What would it be like to have a husband like Gao the bodyguard? Is it possible for a woman to love more than one man at the same time? Are Camilla and her magician partner Shadow friends, enemies, or both? How does Camilla use her charm and cunning to escape from the many dangers she faces? Do you think that the staff at Compassionate Grace Orphanage are compassionate?